I believe in the past I have been able to preview my LaTeX code in R Markdown by just placing the cursor over the LaTeX chunk, but right now I'm unable to recreate that. Any idea how to turn that back on? As far I know, this is a feature of Rstudio (and only of Rstudio?) 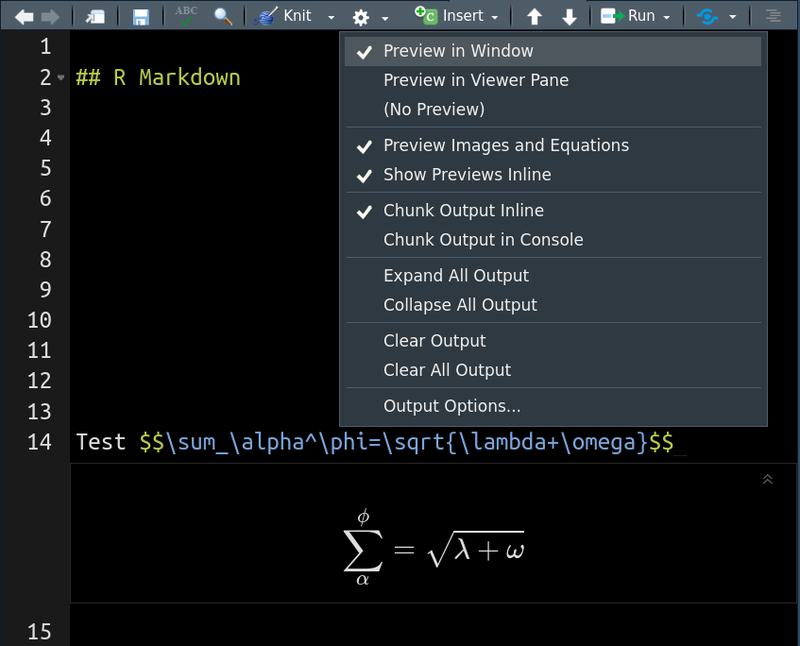 that still work,at least in Version 1.1.463, but only for inline equations, not for any LaTeX chunk. What are the key advantages of TeX over R Markdown?